Here is a patient who went to a well-known clinic for strip (FUT) prior to coming to our clinic. 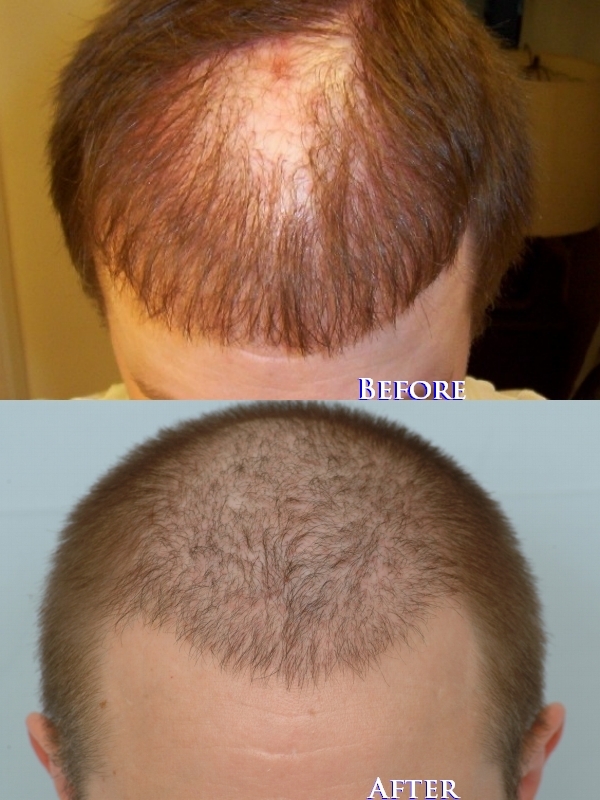 This patient had a class 4 hair loss pattern and was treated with 2000 CIT grafts over three sessions. This result is 8 months after the last session. The patient only wanted some conservative coverage on top to ensure a more natural appearance in case more hair loss occurred. The patient is happy with the mature result and would like to add CIT grafts into the strip scar for more confidence in wearing a shorter hair style. Looks good, would like to have seen a comb running through the hair though. Very natural although it doesn’t seem like a big difference before and after. I couldn’t tell this is a hair transplant, that’s for sure. To me it does not have to be 6000 grafts to be a Wow result. He had a pretty big bald patch filled in nicely . Great result! » pretty big bald patch filled in nicely . Great result! I am quite impressed how natural it looks even when it is cut so short, nobody can tell this is a hair transplant imo.